I was wondering, is it possible to add one item to current order, which is not yet ship? @Daylighter – The blue S2+ is ok but I ended up swapping the guts with my UV light. It was a little too (walmart/best buy) blue for me but it seems appropriate for a dedicated UV light. The tint isn’t bad, it’s warmer than the specs would lead you to believe, white but not harsh or bluish. I order and paid on 5th, choosing priority line to get it faster. Until today, I got email, said my order shipped out using Sweden Post Registered. And yet, only ONE item from total 5 items, shipped. What is this? If you don’t have in stock, make it clear! I don’t like being delayed for ridiculous reasons. I do remember choosing priority line said using Australian postal or similar, but now it’s get messed up here and there. No respond from CS until I post this. Great deal for the M3 package. Just purchased another. Truly a fine little light … Thanks. 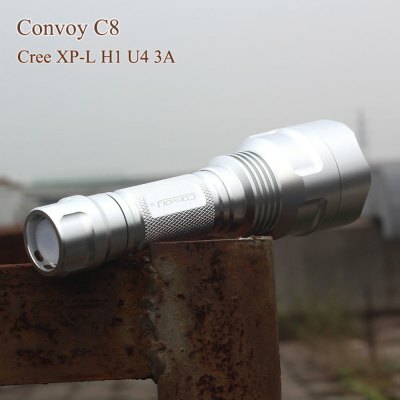 Is this the BLF C8? Great tint and excellent light. I have owned and gifted several. You have purchased ON THE ROAD M3, as planned? Single pack, or full pack? Around 10 bucks it’s a good light. Now I have written review about it, there are photos & beamshot photos of him. Once I bought Ultrafire E17. The UF F13 is a very good light and a good host. I bought four of them last year when they were on sale for $9. Nice camping lights. Deputydave, UF F13 has a body with a pill? Сonvenient to replace the diode and the driver? No, that is Old Lumens (RIP). I take advantage of your own advice and try this flashlight. Hey, thanks for posting that. It’s encouraging! I like that it’s got a shelf behind the LED, and looks really easy to mod. I got plenty of 1.7A 20mm drivers that’ll just drop right in, a nice 4300K Cu star, lots of AS5, so I’m set! Maybe a little bit of JB Weld behind the shelf for more thermal mass, and it’ll scream! And ~11bux per light ain’t bad at all! im in the UK, never had issues before! Is this USA deals only??? Apparently Gearbest won’t ship Nitecore products to the UK, something to do with there being an exclusivity deal with the Nitecore UK distributor. 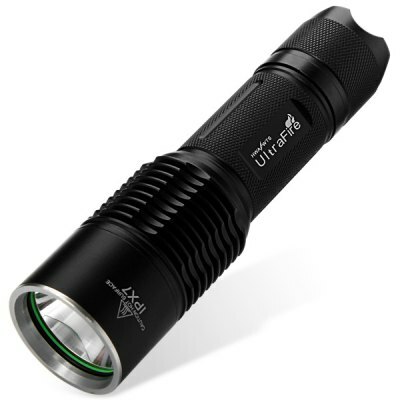 I’m very tempted to buy it, but I’m kinda hoping a deal on the Nitecore EC11 or MT10C becomes available. I have the EA11 and like it quite a bit.